Manchester United face a potential injury crisis ahead of the Arsenal game at Old Trafford this Wednesday night. The Red Devils are already having far from the best of times at the moment after another poor result against Southampton at the weekend, while Arsenal are flying high under Unai Emery. To make matters worse, United’s injury list is growing ahead of the visit of the Gunners, with the Telegraph listing as many as eleven players who could miss out. Alexis Sanchez and Victor Lindelof are definitely sidelined with long-term injuries, according to the report, while there’s also a suspension for Ashley Young after his fifth yellow card of the season at the weekend. Meanwhile, there are other uncertainties surrounding Romelu Lukaku, Phil Jones, Luke Shaw, Antonio Valencia, Eric Bailly, Matteo Darmian, Chris Smalling and Marcus Rashford – though the latter is looking slightly more likely to make it back to face Arsenal. 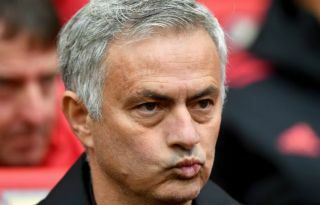 Nemanja Matic and Ander Herrera have both been moved into defence before, and on this occasion Jose Mourinho would genuinely have no choice – he’d have no fit centre-backs left in his squad! It could also mean a first start of the season for Marcos Rojo, drafted in at left-back, and a potential baptism of fire for youngster Diogo Dalot. That midfield and attack look decent, though, with some fans likely to be glad to see a look-in for Fred and Andreas Pereira, while Anthony Martial could finally get a chance as a central striker in the absence of Lukaku, Sanchez and Rashford.